When it comes to the future of digital experiences, there’s no event quite like Adobe Summit. This week, the digital world will convene in Las Vegas to see the latest and greatest ways to deliver innovative, informative, and inspiring experiences. 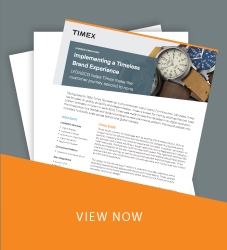 A common message that will be emphasized throughout the show is the need for organizations to continuously reinvent themselves and deliver experiences that create differentiation, cultivate customer loyalty, and generate growth. We’ll be joining forces with our Capgemini family in Booth 823 to show exactly how we help businesses evolve. In the booth, we’ll be highlighting our exciting work with top retail brands like Pharmaca. Together, LYONSCG, Part of Capgemini, Magento, and Pharmaca have worked together to re-launch the health and beauty leader’s experience on Magento 2 and provide the brand with a holistic marketing strategy around SEO, paid media, and analytics. Alongside Pharmaca in Booth 823, we’ll be showcasing our exciting technology innovations: our Personalized Grocery Experience and Integrated Marketing in Financial Services demos will be front and center. Visitors to the booth can also learn about our industry-leading omni-channel commerce capabilities with our “Collaborative Commerce” demo. This is a full retail customer journey showcase powered by Adobe. In the demo, we’ll show how to create consistent shopping experiences across any channel, enabling shoppers to collaborate, communicate, and share their thoughts in real-time through a shared account. This cutting edge demo will certainly be a cant miss experience. What’s Vegas without a party, though? We’ve taken care of that as well. Be sure to sign up for our one-of-a-kind cocktail party at Madame Tussauds on Tuesday, March 26th at 8 PM. Located in The Venetian, this invite-only event promises to be one that you won’t soon forget. 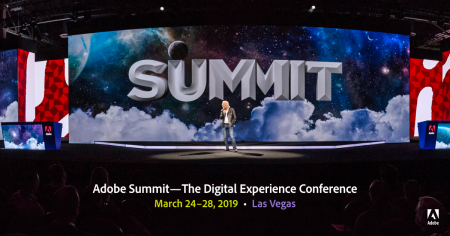 Adobe Summit 2019 is one of the most innovative and forward-thinking events of the year. Make sure to schedule a meeting and come visit Capgemini in Booth 823, see our industry-disrupting demos in action, and experience the difference.